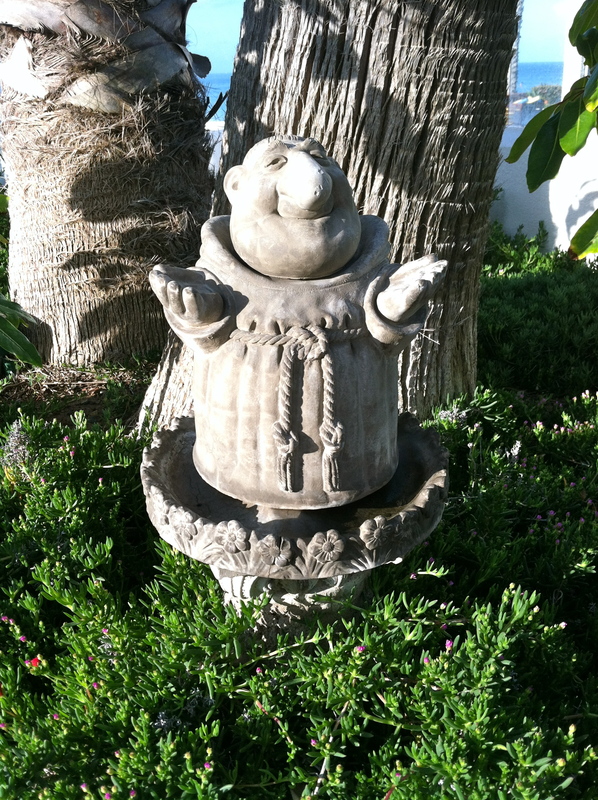 This happy little sculpture was in one of the many lovely gardens at Sanoviv! I think he’s saying “Ola! These 10 nourishing tips are for YOU! In late March I traveled to Rosarito, Mexico to experience a health education retreat and nutrition advisor training at Sanoviv Medical Institute. Sanoviv is a state-of-the-art functional medicine hospital founded by Dr. Myron Wentz, the founder of USANA Health Sciences. What I learned there refreshed and rejuvenated my mind, body, and spirit at a profound level. These nourishing tips are just a glimpse . . .
1. Digestion starts in the brain! 2. Chew, chew, chew, (at least 30 times before swallowing). 4. Drink water, water, and more water (purified, room temp). It’s best not to drink water with your meals since it dilutes the hydrochloric acid needed to help digest your food once it gets to your stomach. 5. Use sea salt (table salt is overly-processed and really not good for us). I’ve been using Himalayan Salt for the last few years and love it. 7. Start your day with a high-quality probiotic and enjoy fermented foods each day and your intestines will thank you! 8. Sleep, sleep, sleep: Sleep heals and allows the digestive system to rest. 9. Just say NO to GMO foods. If you want to see the riveting film we saw on this topic, check out the film: Genetic Roulette. 10. Remember who you really are. You are an amazing being. You may choose to pray and/or meditate to remind you. Click here if you would you like my support for your nourishment path. Click here to learn more about Sanoviv Medical Institute. This entry was posted in Uncategorized on May 2, 2014 by Susan Tate.